(David Morgan), has been practicing martial arts since the age of six. After training Tai Kwon Do as a child he took up Shotokan as a teenager. In college he began learning Enshin which is a full contact style of karate. As a Black Belt in Enshin he competed in several bare-knuckle, knock down tournaments and placed in all of them. He was first introduced to Capoeira in 1999 and began teaching classes at the NJ Capoeira Arts Center in 2003. Gaivota graduated to the level of Instructor in 2005 with Grupo Liberdade de Capoeira and was graduated to Professor in 2007, Contramestre in 2014 & Mestre in 2018 Capoeira Guerreiros. 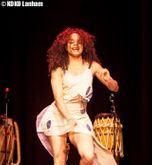 In 2006 Mestre Gaivota opened the Afro Brazilian Cultural Center of New Jersey. During his career in Capoeira, Gaivota has traveled to many countries as well as states sharing his love of the game at Batizados, workshops and events. 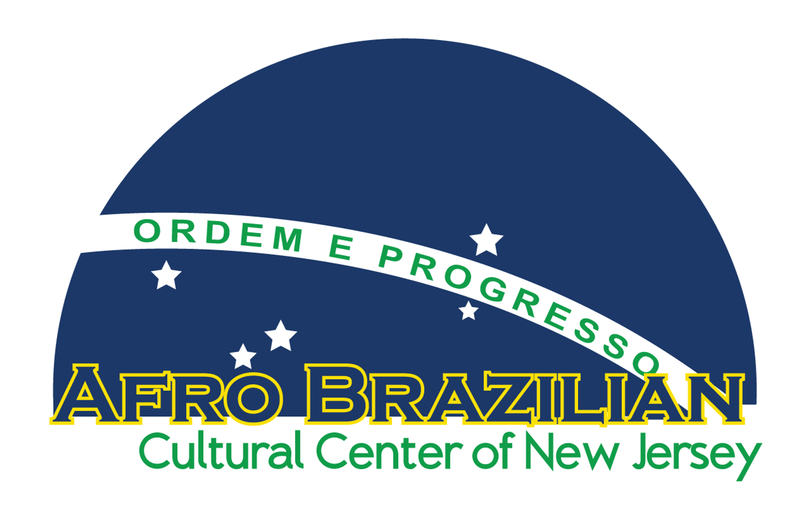 The Afro Brazilian Cultural Center of New Jersey is dedicated to promoting and teaching Capoeira as a living example of Brazilian folklore and culture. Professor Pele began training Capoeira in 2003 with Mestre Gaivota. He began teaching for the Afro-Brazilian Cultural Center in Afterschool programs in Newark in 2007. He is currently a full time Capoeira teacher at the Center and responsible for the Capoeira Club at Columbia University. Randy Brathwaite, Professor Chapa started training Capoeira in 2000 in Bloomfield, N.J. with Mestre Glauber of AU Capoeira. In 2006 he instructed for Parks Theatre in Union City, N.J with the supervision of his Mestre. He is currently teaching for The Afro Brazilian Cultural Center of New Jersey in Montclair & Newark as well as running his own Capoeira studio in Jersey City. Vicente Carrion, Instructor Viajante started playing capoeira in 2005 and has never looked back. He joined Capoeira Guerreiros in 2010 and became an instructor June 2015. He trains and teaches at the Afro-Brazilian Cultural Center under the supervision of Mestre Gaivota. Andrene Bryan puts a spicy carribean flavor on Zumba making it impossible to not shake every part of your body to the beats. Come and dance(hall) with her in our Saturday Zumba class. Deborah Ovalles is a dance teacher and personal trainer with a degree in Exercise Science from William Paterson University. She is the Director of the Dynamic Performance Studio which provides an environment to expand, explore, and engaged in health, fitness and dance creativity. So tap into new Dynamics in your life and see what Fits for you. 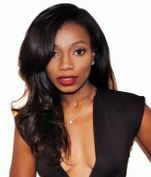 Ayesha K. Faines is a writer, tech-entrepreneur and dancer based in the greater New York City area. She is the founder of Women Love Power, a digital brand centered around her life mission-- helping women acquire real power by leveraging their unique feminine strengths. A former TV reporter, Ayesha presented the news in both Florida and New York before taking the entrepreneurial plunge. Ayesha’s first love is dance. She studied ballet intensively with both the New Jersey School of Ballet and the Dance Theater of Harlem, and performed professional roles before matriculating at Yale University where she received her BA. In addition to working as a dance instructor and choreographer for the past decade, she has also continued her dance education, adding Latin style ballroom, Belly Dance, Salsa, West African, and Afro-Cuban to her repertoire. As an adult her study of movement shifted away from performance, and towards personal growth. Since the beginning of time, women have used dance as a means of enhancing their creativity, vitality and sensuality. Dance is a pathway to unleashing our divine spark! Viva La Femme and P.O.P. were developed with this concept in mind. Ayesha is thrilled to enter a new chapter in her life, uniting her extensive knowledge of feminine power and holistic healing with dance, in a way that serves women— helping them to step into their highest potential. Will Whitt is a personal trainer with a simple statement, "If you are ready to change your life, I am your coach"
Cindy, creator of the ShareCareFit brand, is an advanced certified group fitness instructor specializing in mind and body freestyle fitness. She has dedicated the last 6 years to advancing her yoga technique and practice during which she found her passion for fitness. 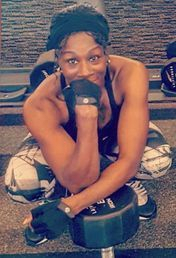 After achieving a new focus, dedication, and commitment into completing her life goals both in and outside of the gym, Cindy decided to give back by teaching others to do the same. Through this class you will gain focus, a chance to take care of your mind and body, and the space to share your successes and stories. The ShareCareFit philosophy is to do something different each and everyday, make a difference, and make it count.